Confusion and complexity have defined this year’s lending environment for both brokers and borrowers. With added compliance pressures and a contraction in credit, brokers have had to lift their game, explore new opportunities and seek solutions elsewhere. These headwinds have motivated them to begin adapting and evolving – actions that will strengthen their businesses to withstand future challenges. And maybe it was time for this awakening. In the last year, the industry has made significant changes, such as moving away from bonus commissions, bonus payments and soft-dollar benefits; and changing the standard commission model. By the end of 2018, there should be clearer disclosure of ownership structures in place, and a new reporting regime. Amid all these changes, the lending landscape has shifted. Brokers are sending more business to the non-banks, and the segment is now absorbing 8% of total broker loan flows, the highest market share recorded by the MFAA’s Industry Intelligence Service. Nevertheless, the MFAA’s latest research, covering the period from October 2017 to March 2018, also shows that the value of new business to non-banks has declined by 8.5% since the prior period, highlighting the effects of a cooling property market, the royal commission, regulatory changes and other factors. What this data demonstrates is that the non-banks are becoming more influential and relevant to brokers and their customers. At MPA’s last roundtable of the year on 26 October – when a record number of brokers tuned in – the non-banks discussed the implications of the royal commission interim report, as well as broker commissions, the tightening credit environment and how the lending sector as a whole should restore its reputation and trust in the community. The non-banks were eager to make it clear that while they had seen an uptick in loan volumes and were taking on borrowers who had been turned down by the banks, they were not doing anything ‘shadowy’ in the process. They insisted that they were just as stringent with their credit policies and underwriting standards, but more flexible and personalised in their approach. The new reality is that brokers and borrowers will likely be dealing with nonbanks a lot more often, so over the following pages we aim to familiarise readers with where they stand, what they think, how they operate and what they offer. Many thanks to the non-bank lenders who were involved: Better Mortgage Management, Bluestone, Firstmac, Homeloans, La Trobe Financial, Liberty, Mortgage Ezy and Pepper Money. In the royal commission’s interim report, Commissioner Kenneth Hayne did not speak highly of value- and volume-based remuneration for intermediaries. “What is plain ... is that value- and volume-based remuneration for intermediaries in the home loan industry has been an important contributor to misconduct and conduct falling short of community standards and expectations and poor customer outcomes,” he wrote. While no recommendations have been made yet, he did say that in order to get to the bottom of misconduct, one must understand how it may be linked to remuneration. The royal commission compiled research from the Sedgwick review into retail banking remuneration, the ASIC review into mortgage broker remuneration, and submissions from banks, aggregators and broker groups. It also highlighted case studies from the first round of hearings, in which both Commonwealth Bank and ASIC identified some of the consequences of value-based broker remuneration, including higher leverage, higher incidence of interest-only loans, higher LVRs, and, over time, an increased likelihood of borrowers falling into arrears. The Combined Industry Forum has pledged to make changes to broker remuneration, including paying commissions based on the amount of funds drawn down instead of the total approved facility. Many major lenders have already begun implementing these reforms, with NAB kicking this off in September. Up to print time, none of the non-banks had followed suit, so MPA wanted to find out more about where they stood on the possible changes to broker commissions. Q: The royal commission has said that value- and volume-based remuneration for intermediaries has been a contributor to misconduct. What should be done to tweak commissions in your view, and how are you responding? Joanna James, general manager of Mortgage Ezy, started o­ the discussion by pointing out that the mortgage manager had never experienced broker misconduct as a result of commissions. In fact, she refuted the perception that brokers were pushing borrowers to take out larger loans just to generate a few extra dollars. “Brokers are successful business people. They’re looking for referrals from happy clients; they’re looking for clients who will work with them many times, perhaps over many years,” she said. Royden D’Vaz, head of sales and marketing at Bluestone, agreed. While it’s difficult to get a sense of what the royal commission might recommend in regard to broker commissions in its final report due out next year, the Productivity Commission sounded a clear alarm about trail. “There is little, if any, evidence to substantiate the claim that trail commissions are a payment for the ongoing provision of services to borrowers. In practice, trail commissions have the e­ffect of aligning the broker’s interests with those of the lender, rather than those of the borrower,” the Productivity Commission wrote in its inquiry report into competition in the Australian financial system. La Trobe Financial’s vice president and chief lending o cer, Cory Bannister, defended the use of trail. “The premise of trailing commission is to preserve that ongoing customer contact as well. I think it would become very transactional without trailing commission. The rolling risk is that you’d see some broker consolidation if broker trail was removed. Broker businesses would probably find it unviable to continue as it would have a direct impact on consumer choice, so you’d channel more business back to the major banks,” Bannister said. Another concern is that, if the royal commission recommended the removal of new and grandfathered trail, it would erode brokers’ trail book value, he said. James added that Mortgage Ezy had seen no evidence to suggest broker misconduct was enhanced by paying trail commissions. “It is the misalignment between upfront payment and a trailer payment that may entice a less scrupulous broker to encourage a borrower to extend their capacity, maybe under the guise of future renovations or a purchase down the track,” she said. The Productivity Commission recommended that the government impose a best interests duty on mortgage brokers, as was done in the financial planning space in 2013. Along these lines, the royal commission expressed concerns that, while a borrower might believe and expect an intermediary to act in their best interests, their statutory duty was only to determine whether a loan was unsuitable. The Combined Industry Forum has decided to meet the Productivity Commission somewhere in the middle. In its July progress report, it said it would be expanding its definition of a ‘good consumer outcome’ to incorporate a ‘customer-first duty’, which revolves around putting the customer’s interests first and matching their needs with the right home loan product and lender. The details of that are still being worked out. The royal commission noted in its interim report that it was unclear how a ‘customer-first duty’ differed from a ‘best interests duty’. Q: Do you think the best interests duty is a fair move, and if the government does adopt it, how will it affect brokers? This conversation around best interests duty came about because brokers’ current legal obligation to make sure a loan was “not unsuitable” was vague, D’Vaz said. But if a best interests duty was adopted, the challenge would be defining it. “When it comes to measuring, will it be about writing the lowest rate? Is that meeting their clients’ needs and objectives? That’s an interesting debate on its own,” D’Vaz said. “It will just be business as usual” for those brokers already doing the right thing, he said. Aaron Milburn, director of sales and distribution at Pepper Money, said brokers shouldn’t be overly concerned because they already acted in the best interests of their customers. The question wasn’t whether brokers acted in the best interests of their customers but how they demonstrated that they did. The commission’s interim report, which was released on 28 September, focused on the misconduct of the major and non-major banks. The seventh round of public hearings started on 19 November and covered policy questions arising from the first six rounds. The commission’s final report should offer recommendations to the government on a number of matters affecting the broker channel, including its commission structure. While the non-banks are not part of the commission’s purview, they have been watching from the sidelines in anticipation of the ripple effects. Q: How will the royal commission affect how non-banks operate, if at all; and what do you think will be the long-term effects of this inquiry on the entire industry? Daniel Carde, general manager of third party distribution at Homeloans, said the non-banks were already conforming to the heightened regulatory environment, just like the mainstream banks were doing. “Will we see some change? I think we’ll see some more robustness around the regulators and how they handle any misconduct, but in terms of how the lenders are operating today, I don’t think we’ll see a lot of change. Whatever is implemented will be across the board,” he said. Bannister addressed one of brokers’ major concerns, which is whether the commission will a­ffect the availability of credit. Numerous sources, such as the RBA, Moody’s Investors Service and UBS, have acknowledged that this is a likely outcome. On the frontline brokers are already receiving many clients who used to go directly to the banks but are now being turned away. Assisting this underserved market is where the non-banks come in. “It’s our time to shine,” Bannister said. In the meantime, D’Vaz added, “we’ll sit on the sidelines, watch, wait and listen, and we’ll just adapt. 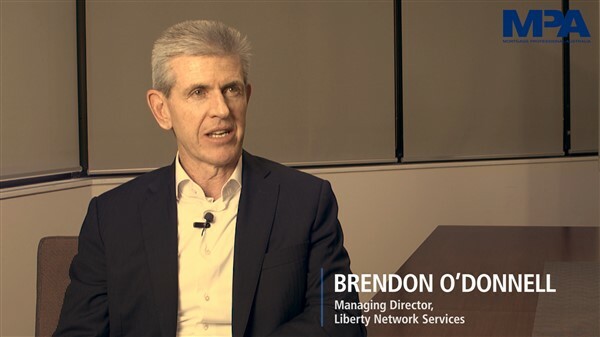 We’re an industry that adapts very quickly”. 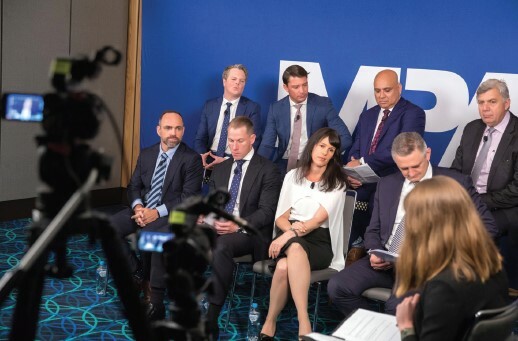 Upon returning to this theme later in the roundtable, MPA asked how brokers should prepare for the future changes that might come out of the royal commission. Diversification was highly recommended. “Some of these issues around trail commissions are likely to impact code-regulated space only, so I would say you need to have a portion of your book in commercial, SMSF and motor. If you haven’t already done so, now is the time to make sure you have other avenues of revenue in your business,” Bannister said. Sanders noted that having the conversation with a non-bank could be the di­fference between writing the deal or not. “Go into those client meetings with your eyes wide open, look for opportunities, be more holistic in your approach to how you service your customer,” he said. Murray Cowan, managing director of Better Mortgage Management, said it was worth looking at how New Zealand handled the removal of trail in 2006. “Numbers did drop at the time, but those that sustained got into selling life insurance or referring life insurance, and they did diversify in that regard and got stronger on the back of that. A lot of New Zealand brokers make similar commissions from life and risk insurance to what they do from mortgages,” he said. The contracting lending environment has started to take its toll on brokers in the form of lower conversion rates and loan values. A sure sign of that was revealed in AFG’s latest Mortgage Index, which noted that lending volumes for AFG brokers had dropped by about 5% compared to the same quarter last year. The MFAA’s Industry Intelligence Service report found that conversion rates had hit their lowest point in five years, with brokers converting about 72% of loan applications to settlements. Brokers’ loan flows are also shifting, with more of their business going to the nonmajor banks and other lenders. Their market share was 32.7% from April to June 2018, up from 21.4% more than four years ago. On the other hand, the major banks recorded their lowest level of broker loan flows, at 45.7%, down from 58.5% in 2018. Compounded, all of this has left a huge gap for the non-banks to fill, and most are seeing an uplift in loan volume. While this is welcome news for the non-banks, it doesn’t always sit well with brokers, who are often on the receiving end of slower turnaround times and reduced service as a result. These non-banks say they’re doing their part to ensure that, as volumes rise, brokers won’t be put out. Q: With the major banks tightening up on lending and pulling out of certain segments (SMSF, low doc, reverse mortgages), how has this impacted non-banks’ business and how are you maintaining your SLAs? What sort of customers and deals are coming your way now? Mortgage Ezy is mostly a vanilla loan lender, but it is very strong in niches, such as non-resident, alt doc and SMSF, which is where it’s seen the most growth, James said. Despite that, she admitted that the mortgage manager “is not a machine”. “We don’t credit score. Every application is looked at by a person, so essentially for us it’s about resourcing,” she said. Last year, during the peak of the non-resident changes, Mortgage Ezy received $203m in deals in 10 days of business. According to D’Vaz, Cerberus Capital Management’s investment in Bluestone in March came at the perfect time. Similarly, Better Mortgage Management reacted by growing its processing team. But Cowan said there could still be really busy weeks that were difficult for a small lender like itself to manage, something many brokers could surely relate to. “I think we’ve done reasonably well, but it’s been challenging at times when you throw in illness or an absence,” he said. Cowan said the mortgage manager had seen an increase in alt-doc, SMSF and prime borrowers who had been turned away by the banks. “Some brokers that are quite skilled and know that those customers will get knocked back are coming to us first time around,” he said. Similarly, Firstmac has also seen a huge lift in prime business. “The advantage we have is we’re able to take a common-sense approach to our credit, so if it makes sense and we’re able to verify and validate it, then we’re open to using that,” Sanders said. Eager to address a common misconception about non-bank lending, Milburn acknowledged that while there was extra volume coming in, that didn’t mean there was any further credit risk. “The credit policies and the ways we underwrite deals have remained the same, so because a bank or a non-major subsidiary of that bank has decided that a customer’s profile is no longer prime to them does not increase the credit risk of that customer,” he said. When asked whether clients would have to pay more to use the non-banks, the panel vehemently disagreed with that assumption. John Mohnacheff, group sales manager at Liberty, said the non-banks assessed deals on their case-by-case merits. “We understand risk-based pricing, rate for risk. That’s in our DNA,” he said. “Everything is focused on, ‘Is this the best outcome for the borrower?’ We have reputational risks here. We do not want to be appearing in front of anybody. We want to grow our businesses; we want to grow them sustainably. Mohnacheff said SLAs were a two-way street between lender and broker. Each lender had its own underwriting criteria and preference for how a deal should be submitted. This was up to the lender to communicate to the broking channel, but it was up to the broker to ask questions, get clarification if necessary, and provide all the information up front. “If you package the deal properly and get it to us, I guarantee you it will fly through. But if we’re going backwards and forwards and there are missing pieces of information, that’s where the roadblocks happen,” Mohnacheff said. If something is missing from the lender’s checklist in the application, Carde suggested that brokers add a note explaining why it wasn’t included and what had been provided instead. “There’s no difference between a major bank, a non-major and a non-bank; the lending standards are all the same. … Whether you’re sending a loan to Homeloans, La Trobe or CBA, the bare minimum expectations are not going to change. Sure, there are going to be a few little idiosyncrasies in some of the policies that are required, but the general underlying requirements of the loan don’t change irrespective of where it goes,” Carde said. Deloitte’s recently released Banking Trust Index 2018 showed the depth at which the royal commission had affected the banking sector’s reputation. Out of 2,000 customers surveyed, only 21% said they felt banks in general had their best interests at heart, and only 26% thought banks would keep their promises. Fortunately for the sector, when asked those questions in regard to their own banks, the results improved significantly. “Banking customers want banks to demonstrate the right mindset by treating them with respect and integrity. This is most important. Only then will the right price, technology and product become significant,” said the report’s author, Willem Punt. Q: As a non-bank, how are you dealing with, and setting yourself apart from, the reputational damage that the banking industry as a whole has suffered of late? According to Mohnacheff, the answer is something that every panellist touched on. The CIF will continue to play a part in proving to regulators and the public that the industry is serious about lifting standards and improving professionalism. Carde added that it was important to remember that “it’s not an us versus them mentality”.